The Diploma of Ecotherapy uniquely crafted to meet the growing need for work opportunities in skilled facilitation of nature based therapeutic work. fit it around your life! As I become more aware of this ‘eco self’, I feel more grounded in myself, and my hope is that this will transmit to those I meet with. THE DIPLOMA ECOTHERAPY is 9 Modules; each module is approx 50 hours of reading, experiences, reflection in nature and creative responses and assignment work. Each module can take 2 - 4 weeks full time or up to 3 months part time. Its up to you. The Diploma of Ecotherapy can be completed in 1 year (full time) or up to 3 years part time. Module 1 – 7 is delivered online. Self paced and supported by the teacher/facilitator moderated, online student group. Theory base and research frameworks from Ecopsychology, with immersive experiences in nature, are a focus in these modules. Assignments have large components working in and with nature. $300 per module + $445 five day residential retreat with all food and accommodation. PAY as you go - 2 modules @ a time = $600. Fit study around your budget. You may wish to arrange a conversation ( via skype, messenger etc.) with the creator/ facilitator Kerryn to discuss further your interest and enrollment. There is no pre-requisite degree necessary, before enrolling in the Diploma of Ecotherapy. Studies in psychology, horticulture, floral art, animal husbandry, eco-tourism, permaculture, counselling, social and community work, landscape design, youthwork, teaching, drug and alcohol work and adventure therapy, and others, all compliment the work of Ecotherapy. These will help to deepen and broaden your experience, knowledge and practice as an Ecotherapist. The diploma of Ecotherapy is designed to run in sequence. Underpinning knowledge and experiences are programmed first, to support the work of modules 7 - 8 delivered at the residential , that have a group work and a therapeutic facilitation focus. Modules 7 – 8 will be delivered at a 5 day retreat style residential . Attendance will be a requisite, where facilitation and therapeutic communication skills will be experienced and in learning communitas. The last module, module 9, includes a 50 hour Ecotherapy placement in community. This is a supported placement, where you are offered support to locate and complete the placement, where you choose to focus and grow your edge. The next residential is scheduled at Te Kehu retreat center, in the Nelson Lakes area of the South Island NZ May 8 – 12, 2019. The Residential will have special guests/experiences planned. At Te Kehu, we will have Kelly Jarvis as our Maori “Kaiwhakaaraara -Navigator. (More about this as you scroll down) A visit to Verve, Flower Farmer Jenine Wardman’s farm nearby. Jeanine will show us how her floral workshops are a beautifully therapeutic. I have found that the Ecotherapy training has allowed me to develop and fine tune my own model of practice to work alongside people in this space. I have existing qualifications that are recognized in NZ , counselling, art and social work degrees. I am employed by a Maori health organization who supports and encourages my way of working, as an eco therapist. They see they benefits this way of working has on the whanau, and individuals I work alongside, as well as the healing for Papatuanuku from creating these connections and relationships. I’ll take a moment to introduce myself, I’m a mum of 5 beautiful beings and a cheeky dog. I’m An artist and adventurer. I’ve been working in our community for over ten years now, working alongside people who have experienced family violence and trauma. My roles have varied from program coordinator, women’s advocate, community advocate and now Family Violence Prevention Coordinator and Counselor at a Maori Health Organization In Palmerston North, where I use Ecotherapy and creativity as my models of practice with women, men, youth and children. I have developed a nature based women’s program called Puawai, and I’m currently working on a children’s program. I have been so grateful to have been mentored by Kerryn over the last couple of years of my Ecotherapy journey, such powerful work and am so excited about completing the Diploma alongside you all. Taking on the role of “Kaiwhakaaraara-Navigator” I believe enables me to sit within the learning group, not as a leader or expert in this area but to insure we are guided to practice, and learn in a way that is respectful and honoring of Te Ao Maori and the whenua (land) that we are learning from, following Tikanga (guidelines) that keep us safe, and the land safe. I hope this explains what this organic, seed of a role will be. Click here to view Puawai Nature Therapy. For more of Kellys story and how she takes the dark with the light in her art and work click here. 20 years of experience in community, teaching and environment is condensed into an innovative and experiential Diploma of Ecotherapy, crafted to prepare you for the changing world of work opportunities increasing as the field of Ecotherapy and Earth/Nature based therapies emerges. Action research on the need for this Diploma of Ecotherapy, has informed inspired and indeed encouraged, the creation and the writing and delivery of this course. Practitioners and prospective employers of Ecotherapy programs, were consulted. The Diploma of Ecotherapy blends vocational needs with a strong theoretical and evidence base, designed to assist you in forging and making the most of work opportunities in the growing field of Eco and Nature based therapies. A large proportion of the Diploma of Ecotherapy delivered at self paced modules online. This is blended with one residential retreat style workshop where groups skills and therapeutic facilitation are applied and practiced. The Diploma is crafted to respect and engage many ways of learning, or multiple intelligences. Experiential and reflective, with invitation and opportunity for your individual and collective process, ensure a solid foundation, as a practitioner of this work. This foundation prepares you for both the realities of working as an Ecotherapist, and the changing environment and opportunities that are emerging in the work of Ecotherapy. · The retreat workshop is designed to be experiential. In this the learning is with opportunity to be transformational for all enrolled. The assessments will have an emphasis on an awareness of and a reflection on the dynamics of this process, for you. · A balance of theory and practical will comprise this Diploma. Invitations to ground the theory will be an integral part of the ways of learning. The diploma will have a focus on the evidence base amassing for Ecotherapy /Nature Based Therapies. It will also explore the theoretical frameworks that support the practice of Ecotherapy. · Peer to peer learning will be an integral part of the delivery and each student will be invited to present a workshop in consultation with the teacher/facilitator at the residential. 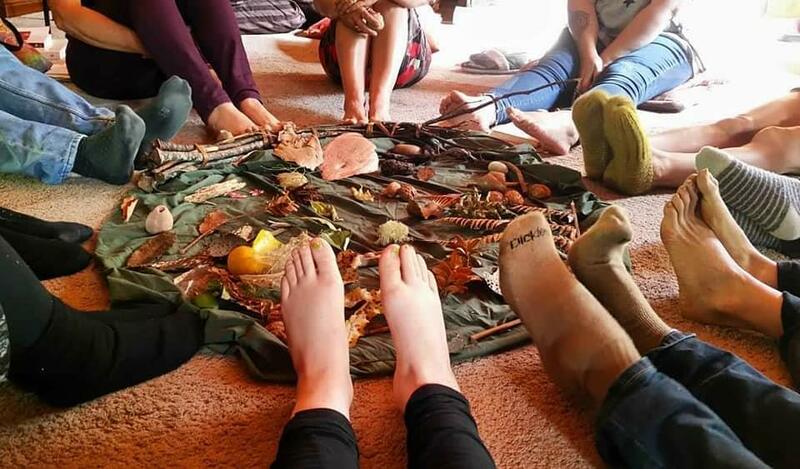 This will enhance the emphasis in group facilitation skills and leadership, as much of the work opportunities arising in Ecotherapy are in group settings. As such 360 degree feedback ( from all course participants) and the teacher will be invited and offered for reflection and growth. · Readings offered before some modules, from current thinkers, practioners and researchers, shaping the field of Ecotherapy. Discussions in on online yahoo group will enable you t connect and share your journey with other students. Communitas happens, when we form and cohabit in temporary learning community, and is harnessed in an intentional ways to enhance the powerful aspects and the joy, of experiential learning. Edith Turner, an anthropologist published a definitive overview of the anthropology of communitas, outlining the concept in relation to the natural history of joy. She explored the nature of human experience , in relation to the sacred, nature and spirit. Communitas often occurs spontaneously, (delightfully) deepening learning and connection to fellow learners. will be given considered and in- depth feedback- including from your peers. The final module only, the work placement, will be assessed satisfactory/unsatisfactory. The Diploma of Ecotherapy - What’s covered? Module 1 Introduction to Ecotherapy. Towards a definition of Ecotherapy. Overview of benefits, current practice opportunities emerging for Ecotherapy . Overview of the research/evidence base weaving together a theoretical framework for Ecotherapy. Sense of Place, Earthart & the ecological self. Module 3 Healing Gardens. Flowers and trees ( both have secret lives). Working in/with nature as co-therapist Eco-psychological models of working with nature. Way beyond 5 senses. Sensory plants. Seasonal planting calendars. Soil and Seratonin – why dirt is good for you. Module 4 Anxiety & Depression & Indivi-dualism – the great malady of our times Eco anxieties and Integral Ecology Bill Plotkin - rewilding psychology and eco-centric life stages model. Transpersonal Models of meaning making and healing from our dark nights of the soul. Beach art and working with found objects. Module 5 Ecotherapy’s answer: Mindfulness, Meaning and Re-connection Natures invitation: into the now. Other Centred Therapy. Biophilia – our genetic capacity for connection to other living things. Animal Assisted Therapy. Module 6 Creativity the Joy Of Earth Earthart and other Creative responses to nature, Co-creation & Change Joanna Macy’s the work that connects, work on time and despair. Basho’s frogs: haiku and the tradition of nature poetica. Nature Deficit Disorder and the importance of Nature in children. Module 7 Therapeutic Facilitation of Ecotherapy Creating trust, making emotionally safe space with nature’s boundaries. Nature-smart Emotional Intelligence – Eco-literacy. Non-violent communication. Can we talk in canine? Non-talk based and Animal assisted Ecotherapy. Module 8 Elements of Group Work The Art of Facilitating, Group Dynamics. Programming. Ecotherapy. Inhabiting outdoor spaces and weather ( WH & S). Professional supervision of Biomimicry - from Rhizomes and Funghi. Be part of the r-evolution of Ecotherapy! 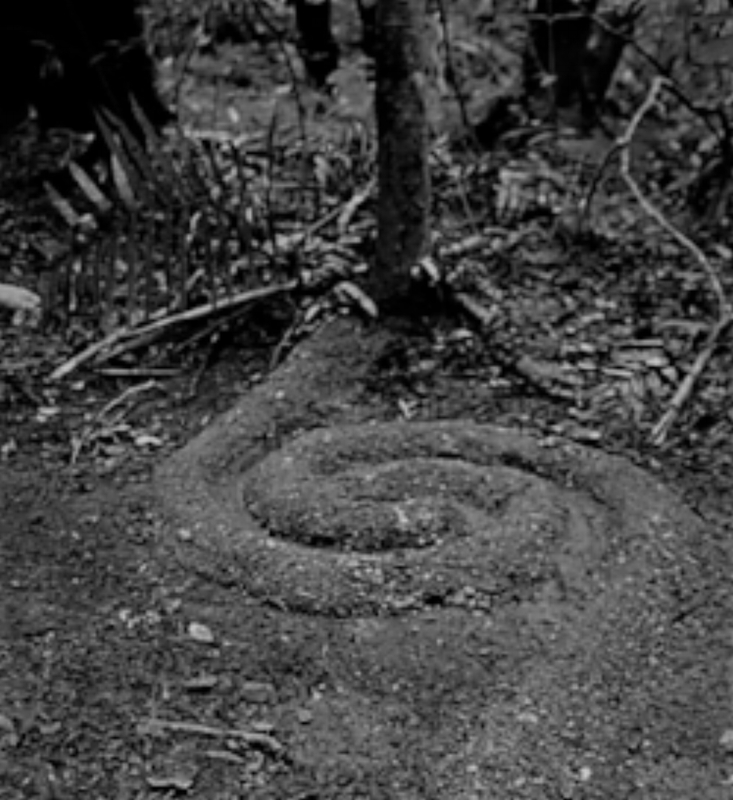 by NZ poet Gus Simonovic - a beautiful film version produced by Martin Sercombe (info@mediaprojects.co.nz) Click here to view the video. IICT has a two part aproval process: the first is gaining professional indemnity/public liability insurance for Ecotherapy as a modality. This offers insurance cover to you as a student, while you are on your professional placement. While IICT are not a registered training authority, they have over 11,000 members across the world. Course Approval with IICT makes it possible to study in this growing field of Nature based Therapies. They represent emerging therapies and modalities while in the crucial stage of becoming established - this process has been traversed with other expressive /values based therapies that are more established than Ecotherapy, but are similar to it, such as Art Therapy, Pet Therapy and Music Therapy etc. Catalytic Validity is a term used to refer to the validity of values based work in the stage during which the evidence base is being consolidated/action researched. It is a critical part of development and change. Typically mainstream practices need time to catch up to cutting edge/emerging research and this can take some years to integrate into other more established modes. Meanwhile those who experienced the effectiveness of the Nature Based Therapies, forge and develop its application into the community, while having the assurance of insurance cover. It is a way of participating in change: BEING the change. "I believe that the integrity of this course of study, grounded deeplly in many years as a horticultural and eco-art therapist in mental health and community work, will speak for itself. I have mentored many student placements in nature based work, and supported work placements and assessments. This diploma has emerged out of direct experience with the evolving work of Nature/Earth Based therapies and I have witnessed the rapidly increasingly demand for professionals, competent in the particular range of skills, and expertise needed in this unique career pathway. It is a calling, and those who hear it, will find the Diploma of Ecotherapy will stand up boldly, and help to meet this demand AND go on to forge collectively, ( with other forms of study emerging in Nature/Earth Based Therapies), to be a strong basis for further accredited pathways of study, like a Bachelor of Ecotherapy that is coming. (oooh don’t you like the ring to that? :)"
Kerryn Coombs-Valeontis spent her formative years in Aotearoa/NZ. She started her career as a school teacher. With a passion for Environmental Education, she completed post graduate studies with a Masters in Social Ecology. Essentially a philosophy of inquiry drawing inspiration from what emerges when traditional silos of knowledge, ( psychology, ecology and sociology) are blended. Both ancient wisdom and new sciences fuse and the Social Ecology foundation/lens is her place to navigate the frontier of the emerging field of Ecotherapy. She has been a community worker and manager with Relationships Australia, and taught in adult vocational education (TAFE) for over 15 years, including the Diploma of Youthwork, Case work and Community Services, and lately on the Bachelor of Human Services., and the Bachelor of Health and Well being at the Buddhist Nan Tien Institute in Woolongong NSW. She served on the management committee of Cultivate (NSW Horticultural Therapy Society) for 2 years and created and taught an introductory course in Horticultural Therapy , with colleague and Horticulturalist, Karen Grey. She has worked as an art and horticultural therapist, in clinical mental health services as group facilitator with addictions, mood and eating disorders, for over 5 years. .She has trained in Poetry Therapy, and Art Therapy and taught Transpersonal Art Therapy. She currently works in out of home care and eco-art therapy in various settings. Pre-order your copy - makes a unique and inspirational gift. Book available March 2019. Launch date late March, TBC.